A sign notifies people they are standing on the Hayward Fault in the children's zoo area of the Oakland Zoo in Oakland, Calif. The U.S. Geological Survey released a report Wednesday predicting that there could be dire consequences if a major earthquake hits the second-largest fault in Northern California. The USGS simulated a 7.0 magnitude earthquake on the Hayward Fault, which runs up and down the East Bay Area through Berkeley, Oakland, Hayward, Fremont and Milpitas. The results show that an earthquake of that scale could kill up to 800 people and cause more than $100 billion in total damage. The report also found that a quake of that size could ignite up to 400 fires in the Bay Area that would destroy the equivalent of 52,000 single-family homes. Old pipes in the underground sewer system would very likely rupture, cutting off access to water for firefighters and residents. While most people know about the hazardous San Andreas Fault, many are not aware of the greater threat posed by the 52-mile Hayward Fault, says USGS earthquake geologist emeritus David Schwartz. 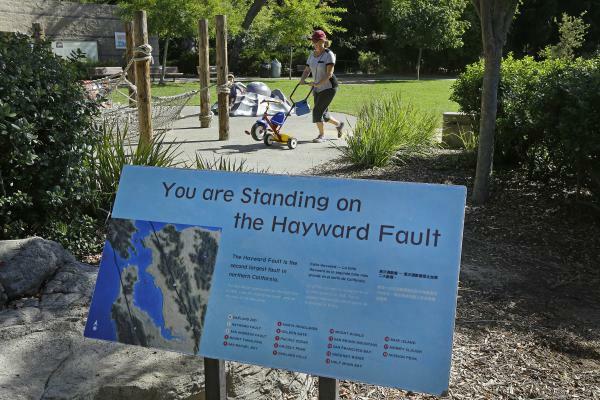 "The Hayward Fault is probably one of the most hazardous faults in the country, and the reason is that it passes through the most highly urbanized part of the Bay Area," he tells Here & Now's Eric Westervelt. An earthquake of that intensity would directly hit the 2 million people who live on top of the fault, Schwartz says. The region's entire population of 7 million people would also be affected. Strong shaking could be felt as far as San Francisco, and there are projected aftershocks as far south as San Jose, the report says. Scientists believe the fault last produced a quake of that large scale in 1868, though they can't be entirely certain because there were no seismographs to measure the magnitude back then. Studies of the fault's history show evidence of 12 large earthquakes in the past 1,900 years, Schwartz says. "The last one was 150 years ago, and the average return time or repeat time for these 12 earthquakes is 150 to 160 years," he says. "So when we play these kind of average math games, we are right there." Experts say the area is ill-prepared for this looming disaster. The Los Angeles Times reports that old city hall buildings in Hayward and Fremont are no longer being used because they sit on the fault, and other buildings in the area wouldn't fare well in the event of a catastrophe. 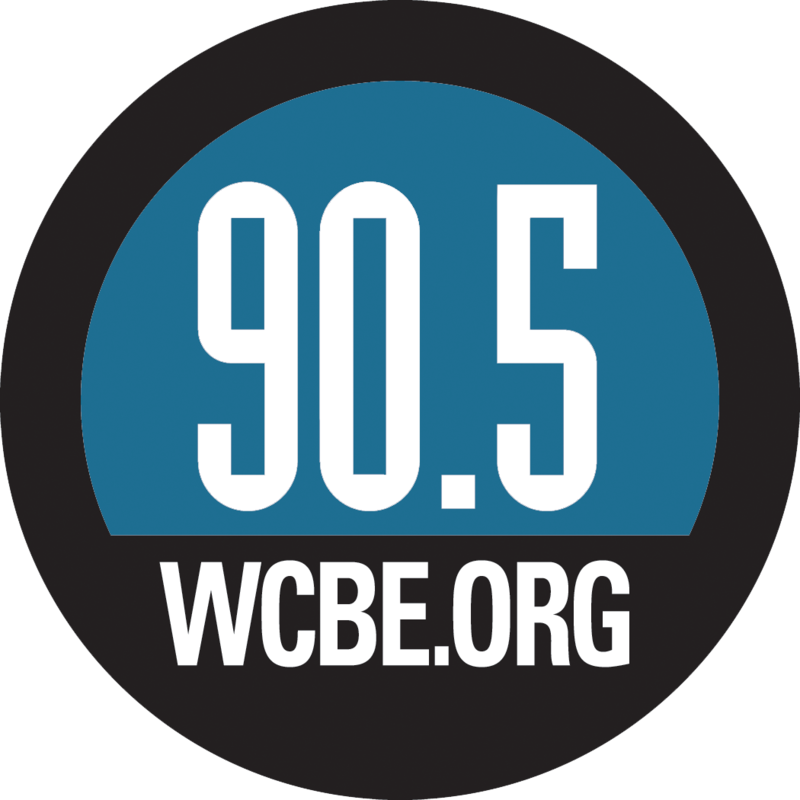 "We have building codes, but your building's as good as the building code in place when it was built," seismologist Lucy Jones, research associate at Caltech's Seismological Laboratory, told Here & Now's Jeremy Hobson last year. "There are classes of buildings — especially some of the older concrete commercial buildings — that we know to be very vulnerable, and we expect ... if they don't get retrofitted, they will collapse in the bigger earthquakes and kill a lot of people at the time." The report notes that 95 percent of people in the area may be able to stay in their homes and businesses following such an earthquake if buildings are upgraded before a potential catastrophe. Estimates show that construction costs would only be 1 percent higher to make buildings 50 percent stronger. A major earthquake could also cripple water-distribution systems in the region, leaving residents without water for six weeks and some as long as six months, according to the report. Experts are quick to warn that Bay Area residents shouldn't dismiss the threat of another quake if they survived temblors like the 1989 Loma Prieta and 1994 Northridge earthquakes. The likely shift of the Hayward Fault will be much worse, which is why scientists are encouraging people to start preparing now. "Some amount of complacency is to be expected," geophysicist Ken Hudnut, the USGS science adviser for risk reduction, told The Los Angeles Times. But "it's not OK to forget. We have to remember."